11.75 inch x 11.75 inch. Soft and sustainable bamboo! Saves trees. Made with renewable bamboo & sugarcane. 100% biodegradable. Whitened without chlorine bleach. 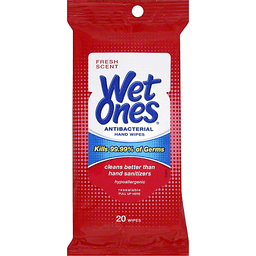 No inks or dyes. Fast growing. Biodegradable. Renewable. Luxuriously soft. 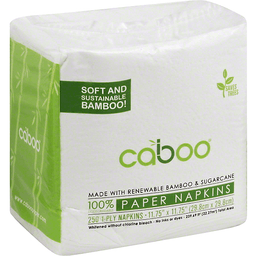 Caboo is a sustainable alternative to conventional paper made from trees. Sugarcane and bamboo are some of the fastest growing grasses on earth which do not require re-planting. Scan the QR code to watch a video showing the environmental advantages of Caboo products and see how they are made. www.Caboopaper.com. Panda Friendly: The variety of bamboo used in Caboo is not a food source for panda bears. Caboo has no effect on the habitat of panda bears. Registered ISO 14001: Caboo's production facility is ISO environmental standard registered. Our raw materials, sugarcane and bamboo, are harvested from the renewable forests of Thailand and Western China. Made in China.